Hello lovelies! Spring is now in full swing. I’ve somewhat have put myself on a spending ban since about Christmas. I had way too many things and not enough space. 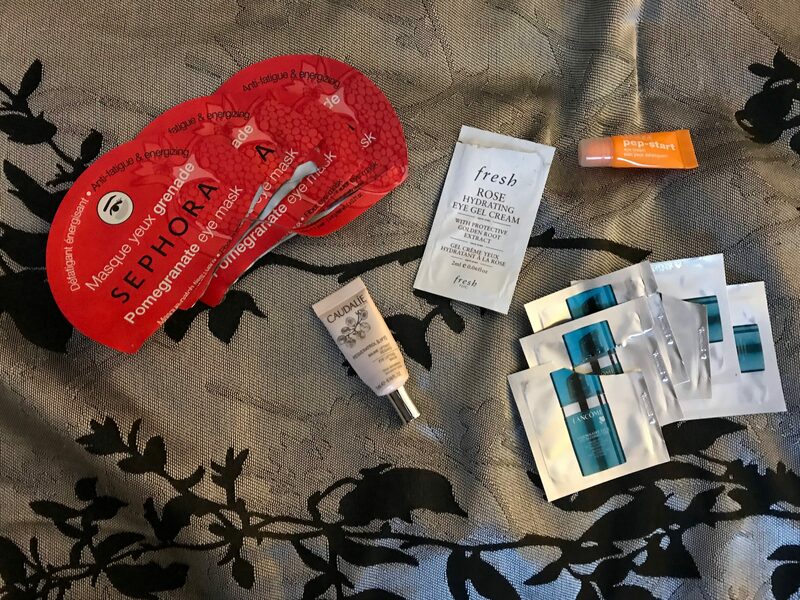 I became overwhelmed and made it my mission to use up items that I have including samples. Over the course of the last 5 months or so, I’ve accumulated quite a bit of trash. I’m going to cut right to everything that has been used up. I’ll let you know if I liked it or not and if I would repurchase it. 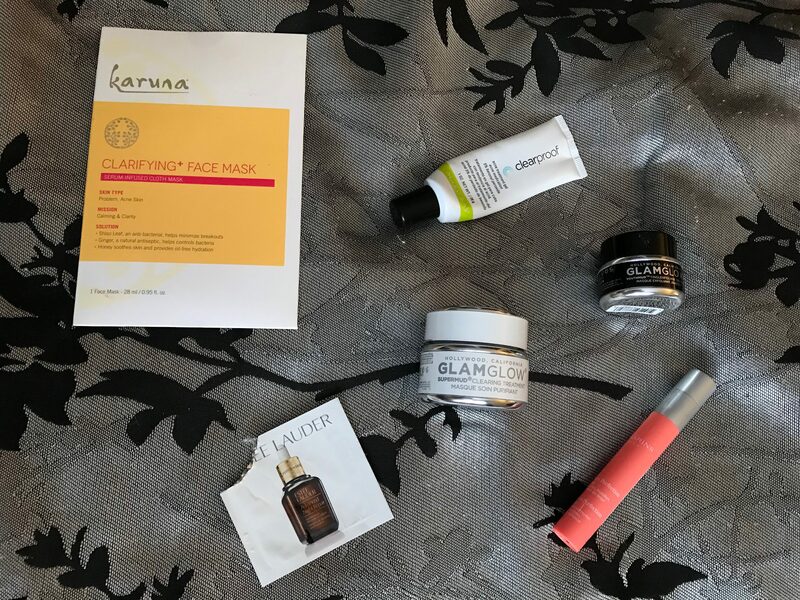 Clinique Moisture Surge- I loved using these 2 little samples. I was able to get 3 uses out of each packet. I will eventually purchase this. Equate Nail Polish Remover- This works pretty well on almost every nail polish formula. Already using the same brand but different formula. Victoria’s Secret Body Wash in Pure Seduction- I loved this scent but I won’t be repurchasing any time soon. I have about 6-8 more bottles of body wash that I need to use up first. 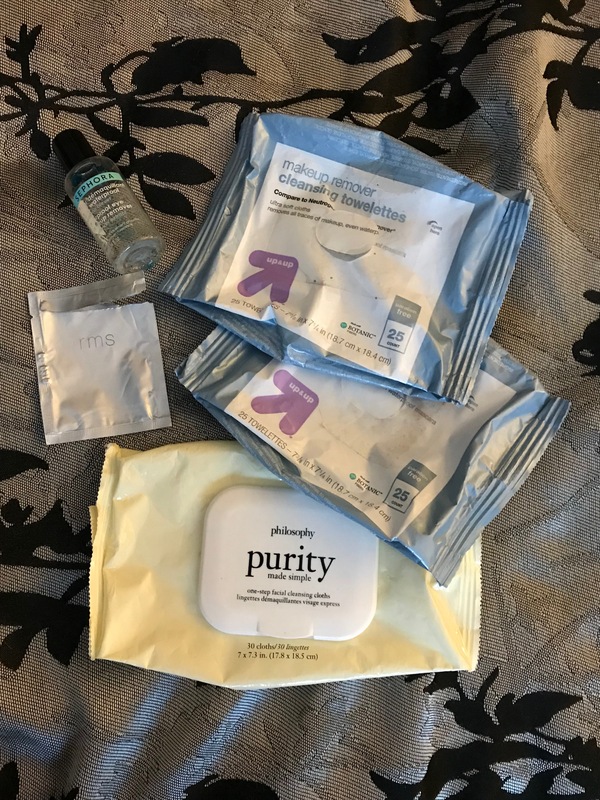 Simple Cleansing and Exfoliating Wipes- I loved both of these!! The exfoliating I can use to “clean” my face when I need something quick. I repurchased a double pack of the cleansing formulation already! C.O. Bigelow Mentha Lip Balm- Loved the flavor, but I found that it didn’t moisturize my lips very well. It tasted good, though! I won’t repurchase this. Mary Kay Clearproof Acne Treatment Gel- Love this stuff! It works! I’m working on my 4th bottle and have 2 backups. Sally Hansen Brow Shapers- Here’s a little TMI, I have a little more than some peach fuzz on my face. I use these for near my temples, upper lip and cheeks and jaw line. I used to use a hair removal cream but over time my skin was getting burned and my acne was becoming worse. These razors have been a lifesaver! And it takes so much less time! The last two items are face masks. I am trying to get better at taking care of my skin. I’ve started a new decade in my life and it’s time to start taking better care of my skin. The cucumber peel off mask, was strange at peeling off but it did help a bit with my skin. It looked clearer, brighter and smoother. I was able to get 2 uses out of the mask. The Freeman Charcoal and Black Sugar Mask- I used this strictly in my t-zone area; across my nose, upper, lip and chin. I loved this!! This definitely helped with my blackhead and peeling situation on my nose. Now that I’ve reached this point in my post I realized that this has gotten very long. 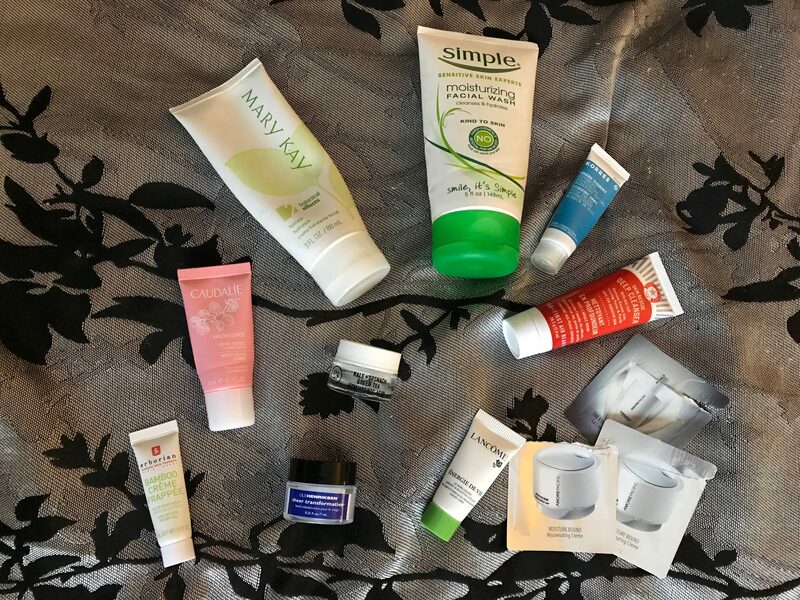 I will show you the rest of my empties in another post or two. I hope you enjoyed seeing what I’ve gone through over the last few months. 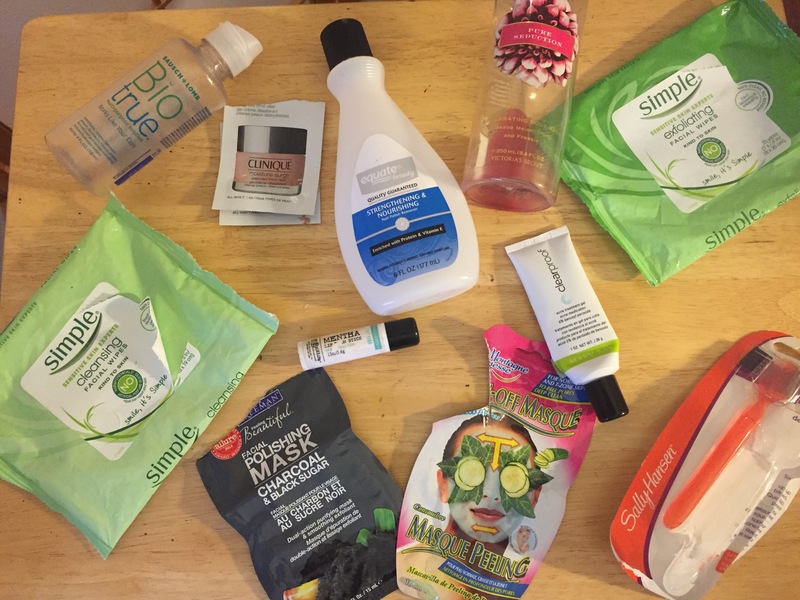 More of my empties are coming soon! Have a great hump day!